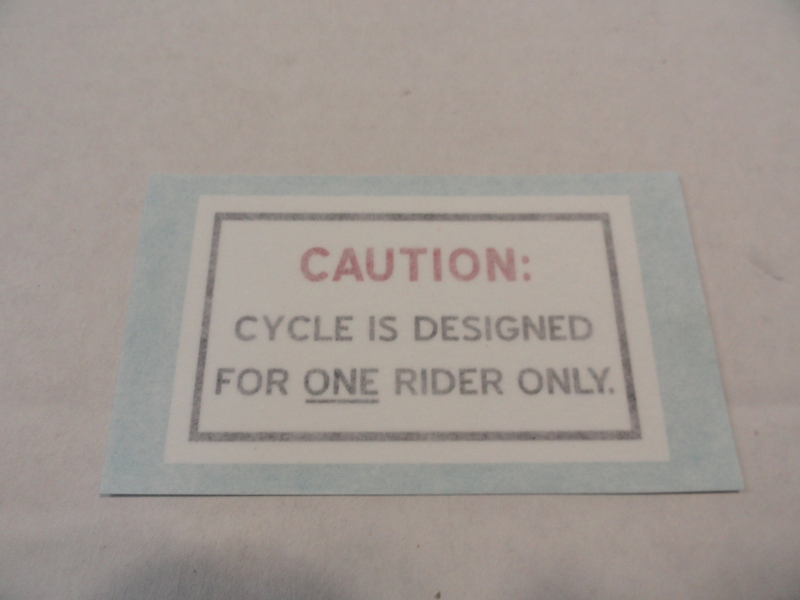 #12533 1967-70 "CAUTION ONE RIDER" DECAL. REPRO. Mounts on top of air cleaner on 68-70.Mounts on top of gas tank on 1967.